As they say, all good things must come to an end. And for talented NBA star Dirk Nowitzki, that moment came after an incredible 21 years with the Dallas Mavericks. 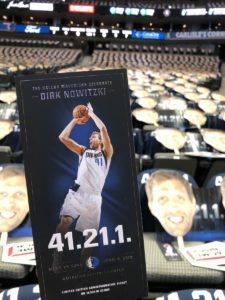 On April 9, Nowitzki made his retirement official after scoring 30 points in what would be the last home game of his career. 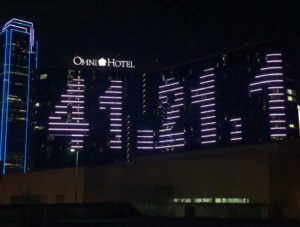 The 40-year-old was the only player ever to play for a single franchise for 21 seasons, and the city of Dallas made sure to show their love for one of the greatest power forwards of all time. 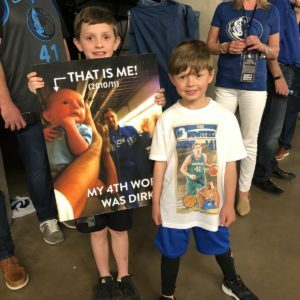 Fans had suspected Nowitzki might retire at the end of this season after he began experiencing crippling pain in his foot. So they celebrated the beloved athlete’s 21 seasons with posters, cheers, and a ton of enthusiasm just in case. 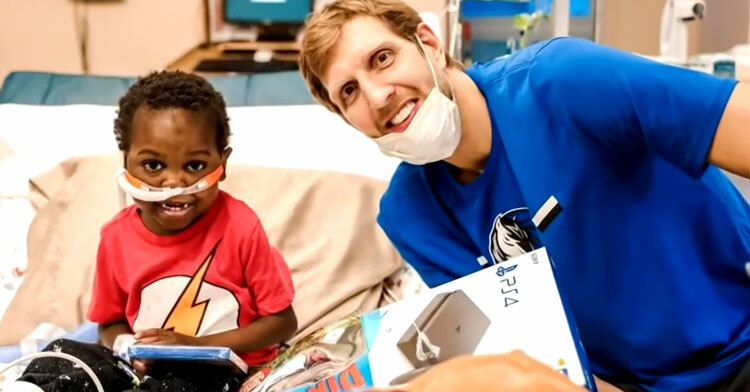 “Thank you Dirk! Thank you Dirk,” they chanted before the Mavericks took on the Phoenix Suns at the American Airline Center. A number of videos played on the JumboTron highlighting Nowitzki’s greatest accomplishments, which include becoming the sixth-highest scoring player of all time. Throughout his career, he also earned the titles of 14-time All-Star and 12-time All-NBA Team member. 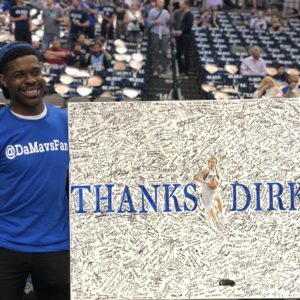 Nowitzki was beyond touched by the outpouring of love and support, but it was the Maverick’s emotional tribute video that brought tears to his eyes. It revealed his philanthropic side — the one he’s kept private until now. The moving video featured the charity work he’s done over the years that he’d kept secret from the public. 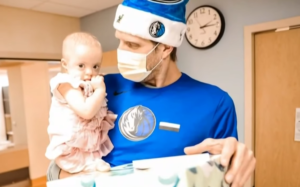 As it turns out, Nowitzki regularly visits patients at Children’s Medical Center and always brings gifts. He’s also made it a point to never allow news cameras in. This sweet man is a legend in so many ways. Congratulations on such a successful career, Nowitzki, and for being an all-around wonderful person. 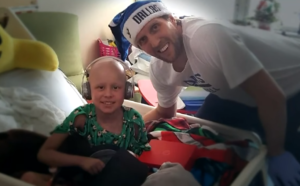 Learn more about how the athlete has brightened sick children’s days in the video below. Share to honor his legacy.